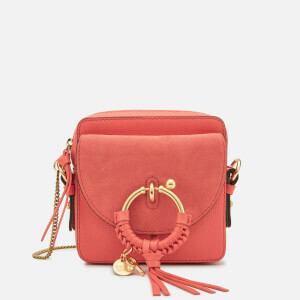 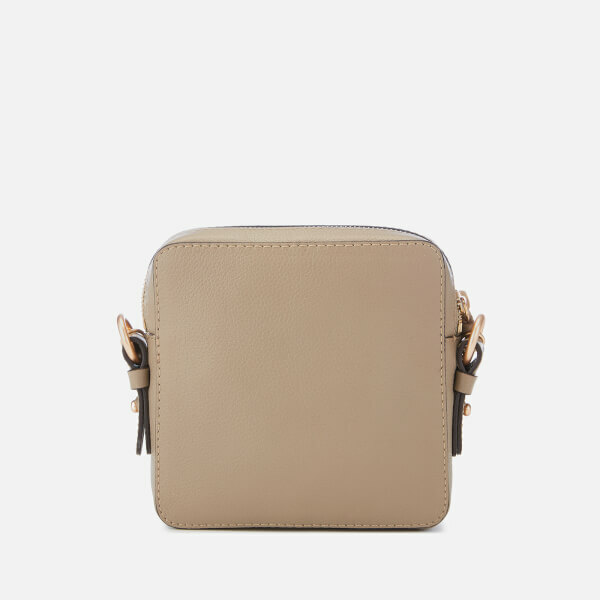 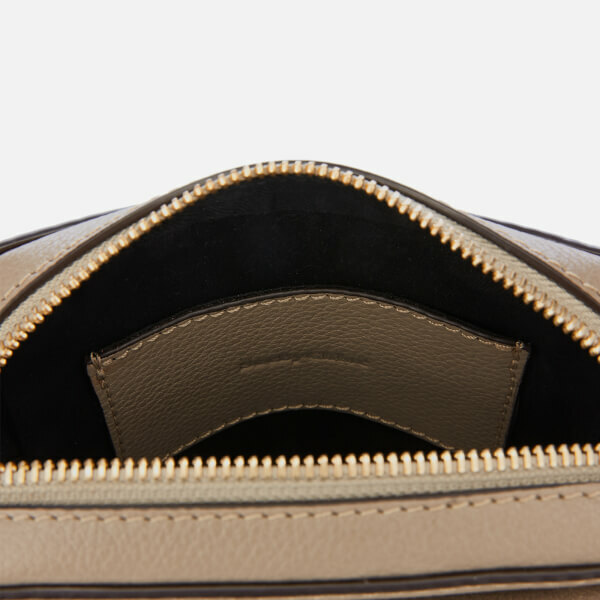 Presented in textured leather and smooth suede, the ‘Joan’ cross body bag from See By Chloé features a zip fastening and a lined interior with leather card slot. 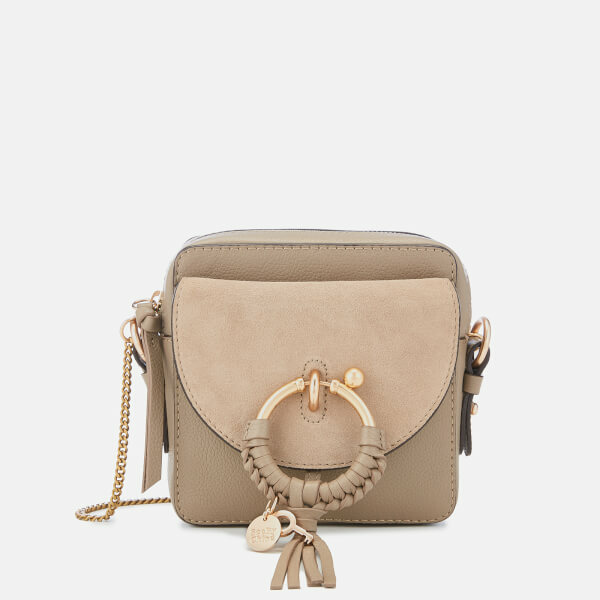 The taupe camera bag features a chain and leather strap and a magnetic flap pocket to the front with ring and tassel detail. 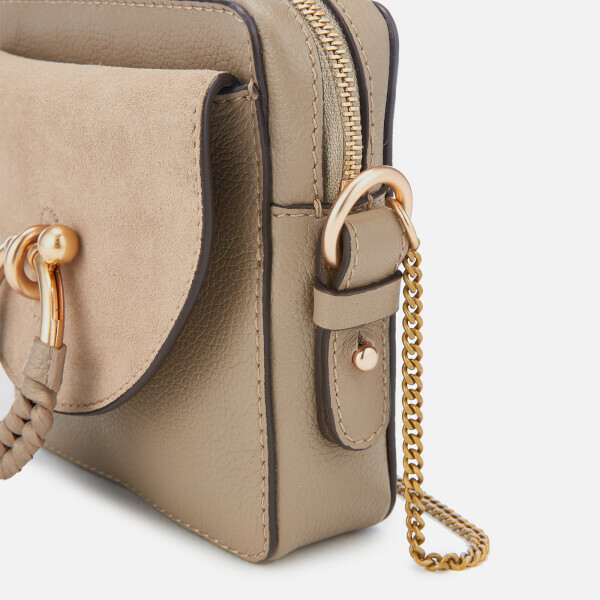 A metal logo charm completes the design.